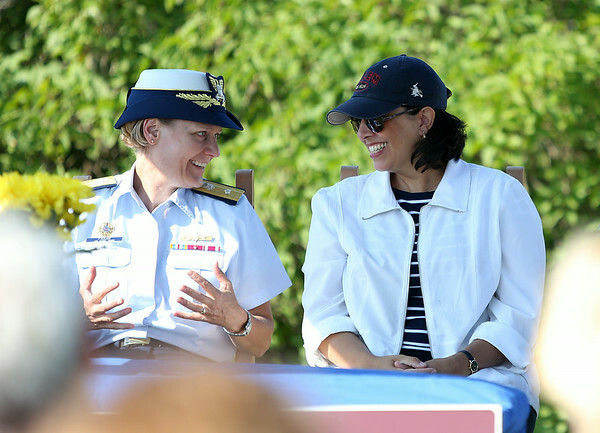 Salem Mayor Kim Driscoll, right, and Rear Admiral Linda Fagan of the United State Coast Guard, share a laugh during a short ceremony on Wednesday morning to turn over the deed for Bakers Island from the US Coast Guard to the Essex National Heritage Commission. DAVID LE/Staff photo. 8/27/14.